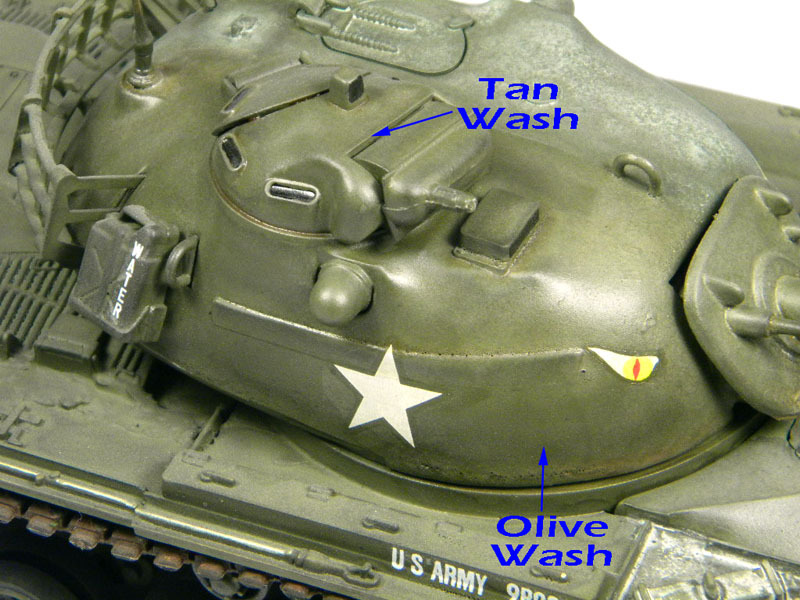 As any modeler knows, a good wash can pick out details and set a model apart from the crowd. There have been a lot of tips, tricks, and formulas over the years for the perfect wash. But The Detailer may have finally done it. The Detailer has created a line of twelve pre-mixed washes in various colors. The washes come in 1-oz. bottles and are available in colors ranging from black through grey and white to greens and even purple. 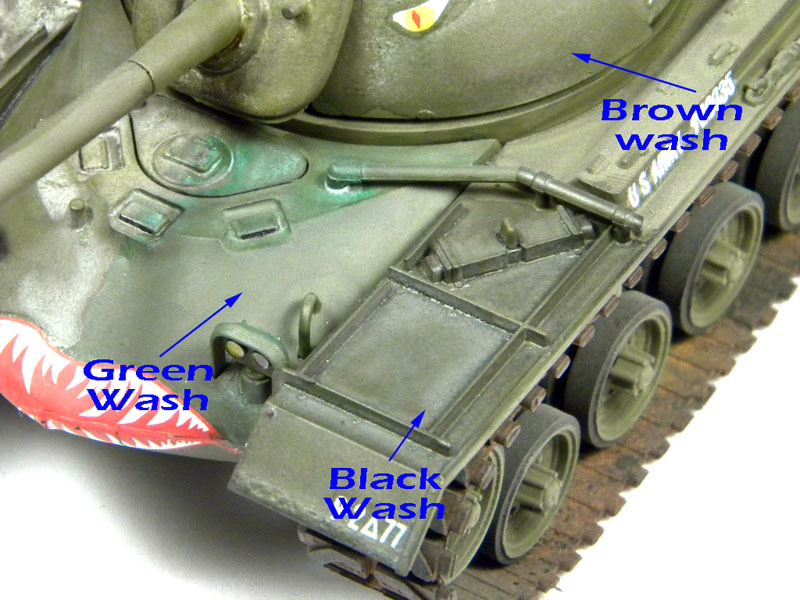 There are several uses for the washes, whether you're a car modeler or a military modeler. The liquid is slightly thicker than water, and can be used straight from the bottle or thinned with water. The Detailer website shows some of the automotive uses such as blacked out grills, chrome tinting, lens and glass tinting, and various anodized metal looks. I didn't haven anything with chrome handy, so I went through testing the washes in military applications. 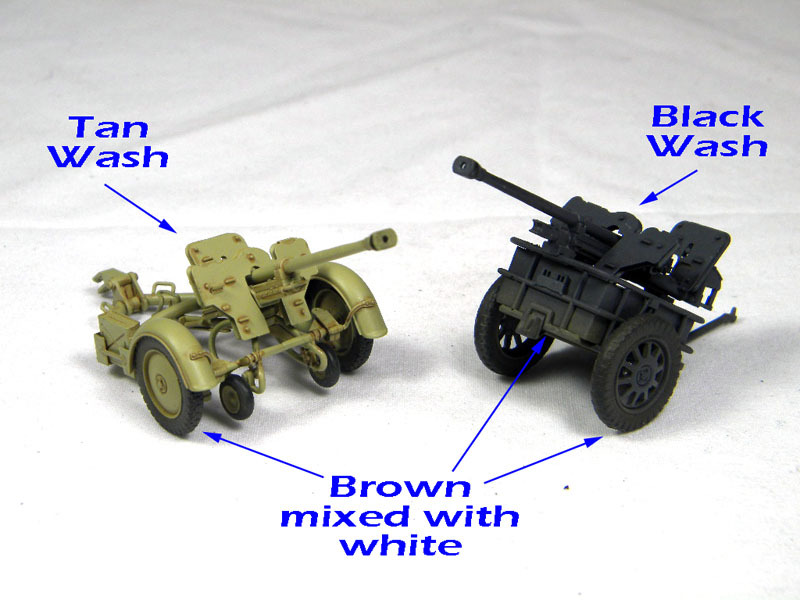 The first was using the tan and black washes on a pair of 1/35 28mm Anti-tank guns. I found the black worked great, however the tan was a little too rust colored. I later found out you can mix the colors. I found tan mixed with a bit of white was a perfect wash for Dunkelgelb. 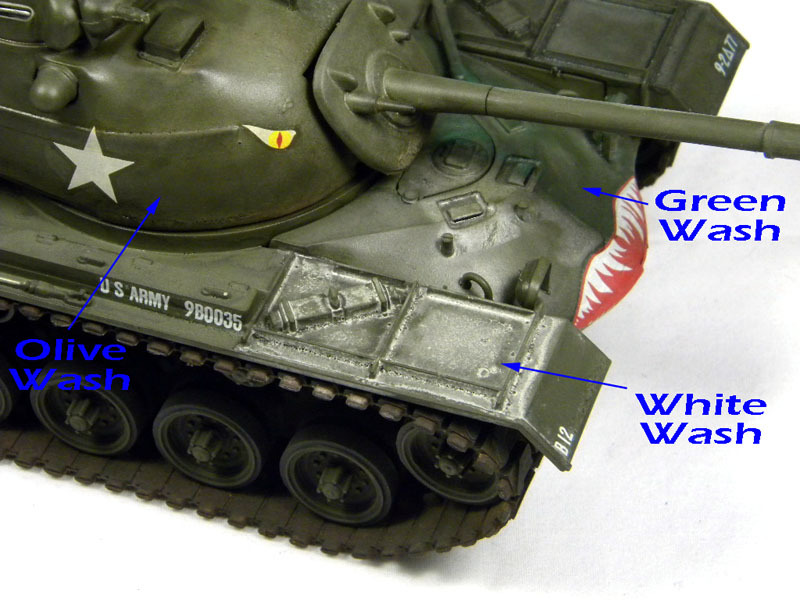 The next test was some different washes on an old M-60 Patton. I used the white, black, green, and olive washes. I found the olive and black worked the best, though I'm not sure which I prefer more. The last test was on the IJN Yamato. I used the grey wash, thinned about 50% with water. 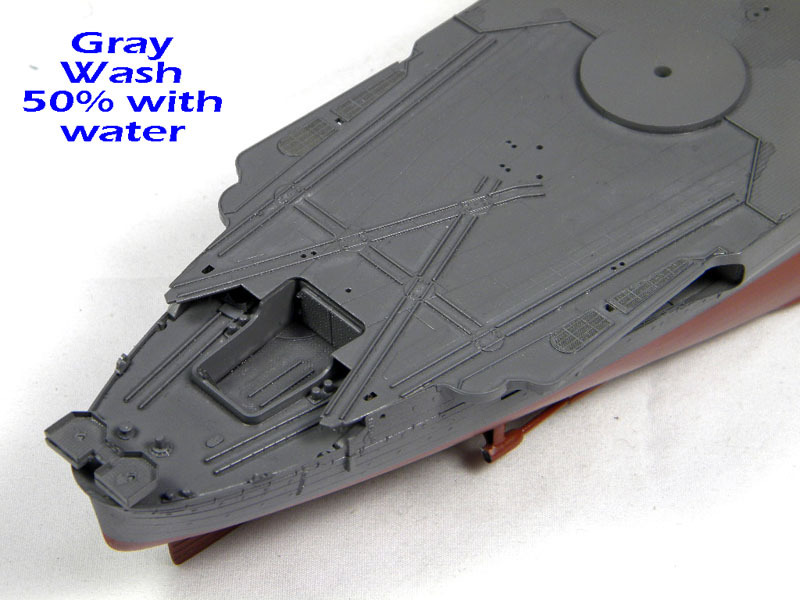 I found this to be a great wash, and it really brought out the detail [the model was painted with Tamiya IJN Kure grey]. Overall, I'm quite impressed with the washes. Not only in their ease of use, but the in the versatility they offer. I can't wait to use them over some metal shades and even some chrome. A quick note, The Detailer website does mention that the washes can be airbrushed, as well as clear coated using an enamel clear coat. My thanks to go to The Detailer for providing the review sample and to IPMS USA for allowing me to review it.